***Everything expressed here represents solely the author’s personal view. So much is at risk if more is not done to address China’s Maritime Militia. So much is knowable about it, even through open sources alone. So much is say-able, if only U.S. government officials would do so. So much is preventable, but only if U.S. officials act soon. China’s Maritime Militia is its Third Sea Force of “blue hulls,” after its Navy of “gray hulls” and its Coast Guard of “white hulls.” Increasingly, these forces operate in concert, with blue hulls operating forward and white and gray hulls backstopping them. The Chinese operational concept entails a “first line of Militia, a second line of Administrative Law Enforcement, supported by a third line of the Military.” Collectively, these are “gray zone” operations: conducted to alter the status quo, and employing coercion as necessary, but without resorting to war. Chinese sources term such efforts “War without Gun Smoke.” Beijing works constantly in peacetime (and possibly in crises short of major combat operations with the United States) to “win without fighting [killing],” and thereby to further its unresolved land feature and maritime sovereignty claims. This is part of Beijing’s broader South China Sea strategy: consolidate disputed claims where it can, delay resolution of issues it cannot yet settle in its favor, and coerce (deter and/or compel) potential opponents while limiting escalation. In the most probable scenarios concerning Chinese interference in U.S. Freedom of Navigation operations (FONOPs), punishing the Philippines for pursuing international arbitration, or deterring Vietnam and others from following suit, China’s irregular but military-controlled Maritime Militia would likely play a frontline role. It has already done so in a range of international sea incidents, including China’s 2009 harassment of USNS Impeccable and 2012 seizure of Scarborough Shoal. By its very design, this approach is particularly challenging for potential opponents to understand clearly, let alone address effectively. China’s irregular sea force is one of the most important—yet most under-considered—factors affecting U.S. security interests in the South China Sea. Many in Washington understand that China has the world’s second-largest blue water Navy, some that China has the world’s largest blue water Coast Guard. But almost no one knows that China—drawing on the world’s largest fishing fleet—has deployed the world’s largest Maritime Militia; and virtually the only one charged with advancing disputed maritime claims. These Chinese “Little Blue Men” are roughly equivalent at sea to Putin’s “Little Green Men” on land. despite a deluge of Chinese-language evidence of its development and activities, to the best of my knowledge no U.S. government report or Washington-based executive branch official has publicly mentioned China’s Maritime Militia, at all! As a result, I submit to you, U.S. policy is under-informed, U.S. regional allies and partners are confused, and Beijing is emboldened. In recent years, it has used its Maritime Militia against military and civilian ships and crews of its immediate neighbors and the United States—with no direct public response from any of them. Thousands of personnel and vessels are registered in China’s Maritime Militia. What should concern Washington and its regional allies and partners is an elite subset, primarily from four locations: Danzhou, Tanmen, and Sanya on Hainan Island; as well as Sansha, the new municipality in the Paracel Islands charged with administering all Chinese claims in the South China Sea. These are the forces entrusted with, and trained for, participation in international sea incidents. From a research perspective, that means that the problem is manageable and the main points are knowable: analysts can drill down deeply in a few key areas. Furthermore, for grassroots forces to function effectively and economically, constant information release is virtually inevitable. Despite incomplete efforts at cover-up and denial—some of which are truly farcical—much can be learned from authoritative Chinese-language open sources, which offer considerable confirmable, conclusive data. Pedigreed, assembled, and compared, they offer deep understanding of many aspects of China’s Maritime Militia. Chinese local government websites in particular offer a rich source of specific time-stamped data. Hull numbers contain important information: searching the Chinese Internet for them can generate useful leads. This is not a faceless force; substantial information is available on key leaders’ backgrounds, contributions, and current roles. Make no mistake: these are state-organized, -developed, and -controlled forces operating under a direct military chain of command. Case in point: In March 2009, USN survey vessel Impeccable was surrounded, halted, and harassed by a coterie of five Chinese vessels: one Navy, two Coast Guard, and two Maritime Militia trawlers. One trawler approached dangerously close, and a man on deck attempted to snag Impeccable’s towed array sonar with a grappling hook. No random patriotic fishermen, these! As one might expect, Beijing would not allow mere civilians to confront a USN vessel. Indeed, running a “VIN number check” in Chinese sources for the hull number produced conclusive documentation that the vessel was registered to a Maritime Militia company in Sanya City, and piloted by a cadre leader from that Militia, Lin Wei. This is an important example of leading Militia units being entrusted with, and capable of, sophisticated frontline involvement in international sea incidents at Beijing’s behest. Disturbingly, however, the U.S. government never said any of this publicly (if it even fully knew), thereby reassuring Beijing that it could continue such malfeasance safely in the shadows. Tracing Lin’s subsequent whereabouts reveals that he has recently acquired a much larger, more capable Militia “mother-ship” that commands and supplies several dozen Militia trawlers on long journeys to the Spratly Islands. This is part of a Militia-wide wave of “mother-ship” buildup. Each 3,000-ton vessel allows several dozen Militia trawlers to operate better, longer, further—together. Additionally, between 27 February and 28 March 2014, Sanya Maritime Militia forces were present near Second Thomas Shoal during China’s temporary blockade of it, and the Philippines’ consequent inability to resupply its forces stationed on the warship hulk Sierra Madre grounded there. Only the day after the Militia was reportedly recalled were Philippine forces able to successfully resume resupply of their outpost. Such activities are likely to recur in the future, perhaps far more serious in their nature and execution. Indeed, in 2012, China’s Third Sea Force played a leading role in another international sea incident involving the United States. Twelve Maritime Militia trawlers were netting tons of endangered species at Scarborough Shoal. When a Philippine vessel boarded two of the trawlers, Militiamen onboard radioed for help. China’s Coast Guard rode to the rescue. Chinese Coast Guard ships sealed off the shoal’s lagoon, and Maritime Militia vessels screened off the approaches from Filipino fishermen—some of many Chinese actions recently condemned by the Arbitral Tribunal. All told, China reneged on a U.S.-brokered deal to return to the status quo ante. The incident showcased the use of professional fishermen in China’s Maritime Militia who double as support to the People’s Liberation Army (PLA) when called upon to do so. Unfortunately, the U.S. government neither “called out” Maritime Militia involvement, nor imposed any costs for China’s seizing the disputed feature. Beijing appears to have taken a lesson, and been emboldened accordingly. Serious Chinese sources have subsequently discussed a “Huangyan [Scarborough Shoal] Model” and concurrent transformation of China’s maritime strategy. In an article framed around this very theme, researcher Zhang Jie of the Chinese Academy of Social Sciences writes, “This model… sees non-military conflict as the bottom line to attain effective control over the disputed shoal and its surrounding waters by means of… civilian maritime force, etc. This model suggests that China’s maritime policy has shifted fundamentally from keeping a low profile to becoming more proactive.” As “the first official use of” the phrase “Huangyan [Scarborough Shoal] Model,” Dr. Zhang cites an article in the overseas edition of People’s Daily, implying that this term has the endorsement of China’s government for communication with external audiences, including perhaps for signaling and coercion. “As China’s strength increases,” she projects, “China will be able to effectively wield more types of non-military instruments to resolve South China Sea disputes.” Disturbingly, Zhang emphasizes that the “Huangyan [Scarborough Shoal] Model” has also been “explored by China” vis-à-vis the “Diaoyu [Senkaku] Islands dispute”—with the subsequently augmented presence of China Coast Guard ships (together with many “fishing boats”) in the islands’ vicinity already a tangible result. Now each of the Militia’s 29 Party members has his own new 500-ton steel-hulled trawler, or will soon. Neighboring countries’ Coast Guards would be lucky to have so many well-equipped vessels. This fleet upgrading—part of a major ramp-up of large, new steel-hulled Chinese Militia trawlers—appears designed to increase ramming capabilities. Subsequently, officials from other localities have flocked to Tanmen to study its Militia, in order to better develop their own. Local officials elsewhere examine Tanmen to inform their Militias’ development, so we too must scrutinize it for clues to larger development trends. and—as part of Xi’s downsizing China’s military to make it leaner and meaner—experienced veterans are becoming available. Attracted by growing incentives, some are already joining identified Maritime Militia units. A major beneficiary of resource flows is the Sansha Maritime Militia, responsible for supporting all of Beijing’s South China Sea claims. New units are being developed to continue the struggle, both throughout the Paracels and increasingly in dedicated bases in the Spratlys as well. In the 1990s, China’s Maritime Militia was a key force in building the first-generation structures on Spratly features that allowed China to occupy them until its recent bout of “island” building. Now, this leading element of China’s Third Sea Force is being deployed to new facilities on the tremendously expanded, developed, and fortified reefs. Additionally, to enhance sophistication and technical management, a new specialized elite is now being added atop the old fishermen rank-and-file. Military veterans are sought for all positions. Militiamen receive hefty salaries atop an array of generous benefits: a crewman can earn over $13,000 annually, a captain over $25,000 annually. These are princely sums by Chinese standards, and go far in a coastal fishing village. The monies apparently come without actual fishing responsibilities attached: trawling for territorial claims would seem to be the purpose for their payment. Recently-enhanced training includes reconnaissance, “assisting in [maritime] rights protection,” and “shooting at sea.” While other blue hull units have coordinated effectively with China’s white and gray hulls during premeditated international sea incidents, Sansha’s Maritime Militia is taking the blue hull role in the aforementioned three-tier Navy-Coast Guard-Maritime Militia “joint defense” to a new level of frontline capability, centered on a $6 million command center. All told, China is generating a worrying new wave of the future in leading-edge Maritime Militia development. The Sansha Militia was established to be a professional paramilitary force first and foremost, with fishing a secondary mission at best. These are the frontline irregular forces that the U.S. and its allies and partners will most likely encounter in the South China Sea. There is much more to come. Admiral Wu Shengli, Commander of China’s Navy, recently suggested that Spratlys construction is only “halfway” completed. Follow-on moves in the Spratlys will likely at least partially echo development in the Paracels to date. Long a widely-distributed, versatile component of China’s reconnaissance-strike complex, China’s Maritime Militia will have even more persistent maritime domain awareness when operating from its new bases. Rapid, diverse frontier growth combined with a lack of normal civilian entities in the Paracels and Spratlys makes it even easier for foreign analysts to detect Militia-specific assets and activity. its Third Sea Force likely appears a tempting tool. Here’s how this could play out in a particularly dangerous way for regional stability and U.S. interests. Even if the current Administration is able to complete its time in office without a major incident, the next President may well face a fast-breaking Maritime Militia-related challenge just as s/he is getting started. The reason: Chinese leaders, fixated on perceived and potential differences in relative power, personalities, and policies, have a history of testing their American counterparts shortly after they assume office. The Chinese-instigated Impeccable incident, beginning just forty-four days after President Obama’s inauguration, was clearly designed to test his mettle and see if he could be pushed to reduce lawful U.S. surveillance and reconnaissance operations in international waters and airspace. Fortunately, President Obama passed that test. On 27 October 2015, however, when the USS Lassen sailed near the artificially augmented Subi Reef, small commercial craft with the hallmarks of Maritime Militia vessels approached it “provocative[ly], crossing the Lassen’s bow and maneuvering around the destroyer,” having apparently anticipated its approach. Who knows what contingencies they might have been practicing for, or what footage they might have been capturing for later (mis)use? President Obama’s successor will assume office in a more challenging time for U.S.-China relations, wherein the South China Sea has become a growing arena of contention, and regarding which Beijing expresses growing determination to oppose U.S. FONOPS and related words and deeds. We must immediately support the next U.S. President and his or her freedom of action to defend U.S. interests by airing the facts on China’s Maritime Militia officially—long before a disruptive incident occurs and Beijing feeds a misleading pre-gamed narrative to media sources at home and abroad. In doing so, we would do well to take a Chinese saying to heart: “repair the house before it rains,” meaning “take precautions before it’s too late.” And we will make it clear that the American commitment to preserving peace, law, and access in maritime Asia spans two administrations and more; so that Beijing cannot simply denounce the new U.S. President as an inexperienced “China hawk” who will soon revert to a more modest mean. As for worst-case scenarios for which the U.S. armed forces are duty-bound to prepare, there is further cause for concern. While Beijing seeks to “win without fighting,” Maritime Militia use in conflict is not just theoretical. Two vessels from what is now the Danzhou Militia played a central role in China’s seizure of the Western Paracels from Vietnam in 1974. In recent years, leading Maritime Militia units have trained with China’s Navy and Coast Guard, and have operated in close coordination with them in international sea incidents. They also train for specific wartime roles, including logistics support, reconnaissance, deception and concealment, assertion of presence near and surrounding of disputed claims, as well as interdiction, harassment, and obstruction of foreign ships, including with sea mines. So, before China is able to put the United States, or one of its regional allies or partners, in a misleading but precarious position of appearing to confront “innocent civilian” fishermen, American officials must publicly reveal the Third Sea Force’s true nature and deeds. At the end of the day, China’s Maritime Militia can only be as deceptive and plausibly deniable as we allow it to be—through our own silence and inaction. China’s Maritime Militia is a military force—often in disguise. China’s Maritime Militia forces do not deserve civilian protections in the event of conflict. Uncovering the truth about China’s Maritime Militia is the best way to deter it. “Call out” China’s Maritime Militia officially in public. Failure of the Pentagon’s 2016 report to mention China’s Maritime Militia at all was a major missed opportunity. Congress should require detailed coverage in next year’s report. Meanwhile, Congress should publicly address this critical subject, and ask senior Administration officials to do so as well. Share information with countries at risk, and provide strategic reassurance. Inform our allies and partners on the front lines of keeping the South China Sea peaceful and open to all. If the U.S. government (with all its resources and capabilities) has not yet begun to address this challenge openly and proactively, how can we expect less-advantaged friends to do so? The next U.S. Administration—with Congressional encouragement and support as necessary—should issue a public, whole-of-government Asia-Pacific Strategy to coordinate policy, reassure allies and partners, and deter destabilizing behavior. Communicate clearly with Chinese interlocutors. Make it plain that any elements that ignore repeated warnings by U.S. vessels to desist from disruptive activities will be treated as military-controlled and dealt with accordingly, to ensure self-defense and unobstructed mission accomplishment. Impose clear consequences for any use of Maritime Militia against U.S. vessels. The U.S. faces growing challenges in the South China Sea. In many ways China’s Maritime Militia is one of the simplest to begin to address: its plausible deniability is one of its greatest strengths, and it has many vulnerabilities. We can quickly unmask it by putting a clear U.S. government stamp of authority on already-available information. It is high time that we did so, before things take a turn for the worse, in a time and a way that is not of our choosing. Thank you! I’m happy to take your questions. Andrew S. Erickson, “Making Waves in the South China Sea,” ChinaFile Conversation, Asia Society, 30 October 2015, http://www.chinafile.com/conversation/making-waves-south-china-sea; Eleanor Hall, “Tensions between China and U.S. Intensify over South China Sea,” The World Today Program, Australian Broadcasting Corporation (ABC), 29 June 2016, http://www.abc.net.au/worldtoday/content/2016/s4491065.htm. Yao Jianing, “Maritime Militia Increases Drills, Expands in Scope,” China Daily, 2 February 2016, http://english.chinamil.com.cn/news-channels/china-military-news/2016-02/02/content_6885692.htm. Andrew S. Erickson and Conor M. Kennedy, “Meet the Chinese Maritime Militia Waging a ‘People’s War at Sea’,” China Real Time Report (中国实时报), Wall Street Journal, 31 March 2015, http://blogs.wsj.com/chinarealtime/2015/03/31/meet-the-chinese-maritime-militia-waging-apeoples-war-at-sea/; Andrew S. Erickson and Conor M. Kennedy, “Chapter 5: China’s Maritime Militia,” in Rear Admiral Michael McDevitt, USN (ret. 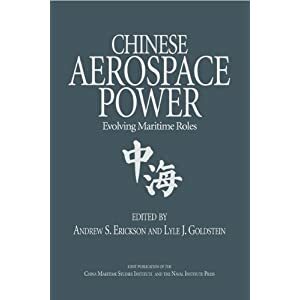 ), ed., Becoming a Great “Maritime Power”: A Chinese Dream (Arlington, VA: CNA Corporation, June 2016), 62-83, https://www.cna.org/CNA_files/PDF/IRM-2016-U-013646.pdf. Andrew S. Erickson and Conor M. Kennedy, “Irregular Forces at Sea: ‘Not Merely Fishermen—Shedding Light on China’s Maritime Militia’,” Center for International Maritime Security (CIMSEC), 2 November 2015, http://cimsec.org/new-cimsec-series-on-irregular-forces-at-sea-not-merelyfishermen-shedding-light-on-chinas-maritime-militia/19624. Original Chinese: “逐步形成一线民兵、二线行政执法、三线部队支撑的维权执法格局.” Source: “三沙市推动军警民联防机制 构建三线海上维权格局” [Sansha City Promotes Military-Law Enforcement-Militia Joint Defense Mechanism: Constructs Three-Line Maritime Rights Protection Structure], 中国新闻网 [China News Net], 21 November 2014, http://www.chinanews.com/gn/2014/11-21/6803776.shtml. For broad references and conceptual framework, see Michael J. Mazarr, Mastering the Gray Zone: Understanding a Changing Era of Conflict (Carlisle, PA: Army War College Press, 2015), http://www.strategicstudiesinstitute.army.mil/pubs/display.cfm?pubID=1303; Quadrennial Defense Review Report (Arlington, VA: U.S. Department of Defense, February 2010), 73, http://www.defense.gov/Portals/1/features/defenseReviews/QDR/QDR_as_of_29JAN10_1600.pdf. “Stirring up the South China Sea,” Asia Report 223 (Beijing and Brussels, International Crisis Group, 23 April 2012), 21, https://www.crisisgroup.org/asia/south-east-asia/south-china-sea/stirring-south-china-sea-i. Original Chinese: “一场没有硝烟的战争.” The author thanks Ryan Martinson for his explication of this concept. For related analysis, see Ryan D. Martinson, “Shepherds of the South Seas,” Survival 58.3 (2016): 187-212. 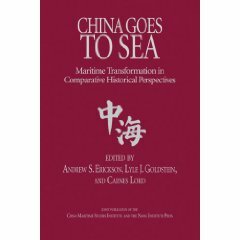 A complete compilation of his work is available here: http://www.andrewerickson.com/2016/07/the-scholar-as-portent-of-chinese-actions-in-the-south-china-sea/. Patrick C. Bratton, “When is Coercion Successful? And Why Can’t We Agree on It?” Naval War College Review 58.3 (Summer 2005): 99-120, https://www.usnwc.edu/getattachment/4e9e93e3-50b9-4fe9-b6e8-c7aca4218a9b/When-Is-Coercion-Successful–And-Why-Can-t-We-Agre.aspx. M. Taylor Fravel, “China’s Strategy in the South China Sea,” Contemporary Southeast Asia 33.3 (2011): 292-319. For leading legal analysis, see James Kraska and Michael Monti, “The Law of Naval Warfare and China’s Maritime Militia,” International Law Studies 91.450 (2015): 450-67, http://stockton.usnwc.edu/cgi/viewcontent.cgi?article=1406&context=ils. A complete, text-searchable archive of our work is available at: http://www.andrewerickson.com/2016/09/riding-a-new-wave-of-professionalization-and-militarization-sansha-citys-maritime-militia/. For comprehensive information and citations concerning the Danzhou Maritime Militia, see Andrew S. Erickson and Conor M. Kennedy, “Trailblazers in Warfighting: The Maritime Militia of Danzhou,” CIMSEC, 1 February 2016, http://cimsec.org/trailblazers-warfighting-maritimemilitia-danzhou/21475. See Andrew S. Erickson and Conor M. Kennedy, “Tanmen Militia: China’s ‘Maritime Rights Protection’ Vanguard,” The National Interest, 6 May 2015, http://www.nationalinterest.org/feature/tanmenmilitia-china%E2%80%99s-maritime-rights-protection-vanguard-12816. Simon Denyer, “How China’s Fishermen Are Fighting a Covert War in the South China Sea,” Washington Post, 12 April 2016, https://www.washingtonpost.com/world/asia_pacific/fishing-fleet-puts-china-on-collision-course-with-neighbors-in-south-china-sea/2016/04/12/8a6a9e3c-fff3-11e5-8bb1-f124a43f84dc_story.html?postshare=451460511139565&tid=ss_tw; 萧雨 [Xiao Yu], “南海仲裁在即 潭门渔民集体封口” [South China Sea Arbitration Imminent—Tanmen Fishermen Collective Seals Mouth], 美国之音 [Voice of America], 23 June 2016, http://www.voachinese.com/a/tanmen-fishermen-reluctant-to-talk-about-maritime-militia-20160621/3385851.html. Andrew S. Erickson, “Reported Chinese Efforts to Conceal Maritime Militia Reach Intelligence-Insulting Level,” China Analysis from Original Sources 以第一手资料研究中国, 16 June 2016, http://www.andrewerickson.com/2016/06/reported-chinese-efforts-to-conceal-maritime-militia-reach-intelligence-insulting-level/; Florence Looi, “Looking for China’s Maritime Militia,” Al Jazeera, 4 June 2016, http://www.aljazeera.com/blogs/asia/2016/06/chinas-maritime-militia-160603205135196.html; “‘Farce’ Says China, in the South China Sea” program, The John Batchelor Show, 77 WABC Radio New York, 7:30 p.m. EST, 6 July 2016, https://audioboom.com/boos/4791175-farce-says-china-in-the-south-china-sea-gordongchang-cleo-paska-chatham-house-ethan-gutman-author-andrewserickson. Andrew S. Erickson, “FMPRC Spokesperson Lu Kang Apparently Denies Maritime Militia’s Role in ‘Rights Protection’—But China Daily Has Already Confirmed It, and China Military Online Republished Confirmation,” China Analysis from Original Sources 以第一手资料研究中国, 7 April 2016, http://www.andrewerickson.com/2016/04/fmprc-spokesperson-lu-kang-apparently-denies-maritime-militias-role-in-rights-protection-but-china-daily-has-already-confirmed-it-and-china-military-online-republished/; Yao Jianing, “Maritime Militia Increases Drills, Expands in Scope,” China Daily, 2 February 2016, http://english.chinamil.com.cn/news-channels/china-military-news/2016-02/02/content_6885692.htm. See, for example, “关于在文昌木兰头规划建设三沙战略腹地和民兵渔船停泊港的建议” [Proposal for the Planning and Construction of Wenchang Mulantou Rear Area for Sansha and Harbor for Mooring Maritime Militia Fishing Vessels], submitted to the Hainan Provincial Government, 12 February 2015. 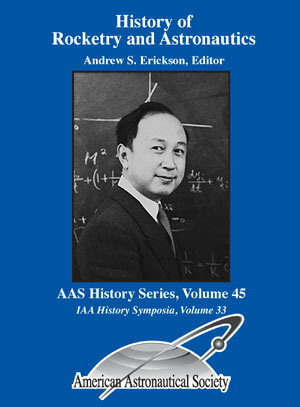 Toshi Yoshihara, “The 1974 Paracels Sea Battle: A Campaign Appraisal,” Naval War College Review 69.2 (Spring 2016): 41-65, https://www.usnwc.edu/getattachment/7b5ec8a0-cc48-4d9b-b558-a4f1cf92e7b8/The1974ParacelsSeaBattle.aspx; John W. Garver, “China’s Push through the South China Sea: The Interaction of Bureaucratic and National Interests,” The China Quarterly 132 (December 1992): 1003-05; Bill Hayton, The South China Sea: The Struggle for Power in Asia (New Haven, CT: Yale University Press, 2014), 70-78. Bill Hayton, The South China Sea: The Struggle for Power in Asia (New Haven, CT: Yale University Press, 2014), 209-11. Conor M. Kennedy and Andrew S. Erickson, “Model Maritime Militia: Tanmen’s Leading Role in the April 2012 Scarborough Shoal Incident,” CIMSEC, 21 April 2016, http://cimsec.org/model-maritime-militia-tanmens-leading-role-april-2012-scarborough-shoal-incident/24573. See Conor M. Kennedy and Andrew S. Erickson, “From Frontier to Frontline: Tanmen Maritime Militia’s Leading Role—Part 2,” CIMSEC, 17 May 2016, http://cimsec.org/frontier-frontline-tanmen-maritime-militias-leading-role-pt-2/25260. Andrew S. Erickson and Conor M. Kennedy, “Directing China’s ‘Little Blue Men’: Uncovering the Maritime Militia Command Structure,” Asia Maritime Transparency Initiative, Center for Strategic and International Studies, 9 September 2015, http://www.andrewerickson.com/2015/11/chinasdaring-vanguard-introducing-sanya-citys-maritime-militia/; “Episode 340: China’s Maritime Militia with Andrew Erickson,” live interview on Midrats Radio Program, Blog Talk Radio, 10 July 2016, http://www.blogtalkradio.com/midrats/2016/07/10/episode-340-chinas-maritime-militia-with-andrew-erickson. Regarding the incident overall, see Jonathan G. Odom, U.S. Navy Judge Advocate General’s Corps, “The True ‘Lies’ of the Impeccable Incident: What Really Happened, Who Disregarded International Law, and Why Every Nation (Outside of China) Should Be Concerned,” Michigan State University College of Law Journal of International Law 18.3 (April 2010), http://jnslp.com/wp-content/uploads/2010/06/the-true-lies-of-the-impeccable-incident-odom-msujil-may-2010.pdf. For comprehensive information and citations concerning the Sanya City Maritime Militia and its role in the Impeccable Incident, see Andrew S. Erickson and Conor M. Kennedy, “China’s Daring Vanguard: Introducing Sanya City’s Maritime Militia,” CIMSEC, 5 November 2015, http://cimsec.org/chinas-daring-vanguard-introducing-sanya-citys-maritime-militia/19753. For comprehensive information and citations concerning the Tanmen Maritime Militia and its role in the Scarborough Shoal incident, see Conor M. Kennedy and Andrew S. Erickson, “Model Maritime Militia: Tanmen’s Leading Role in the April 2012 Scarborough Shoal Incident,” CIMSEC, 21 April 2016, http://cimsec.org/model-maritime-militia-tanmens-leading-role-april-2012-scarborough-shoal-incident/24573. Andrew S. Erickson, “Preserving a Rules-Based Order in the South China Sea,” interview with Eleanor Albert, Council on Foreign Relations, 12 July 2016, http://www.cfr.org/international-law/preserving-rules-based-order-south-china-sea/p38127. Bonnie S. Glaser and Alison Szalwinski, “Second Thomas Shoal Likely the Next Flashpoint in the South China Sea,” Jamestown China Brief 13.13 (21 June 2013), http://www.jamestown.org/programs/chinabrief/single/?tx_ttnews%5Btt_news%5D=41054&cHash=a7d10c92688430f1274bb09b95b18bcf. 秦宏 [Qin Wang], “面对菲律宾, 我们有足够手段” [Facing the Philippines, We Have Sufficient Means], 人民日报 海外版 [People’s Daily, Overseas Edition], 8 May 2012, http://cpc.people.com.cn/pinglun/GB/17831131.html. China’s leading state media mouthpiece republished key excerpts the next day: “秦宏: 面对菲律宾我们有足够手段” [Qin Wang: Facing the Philippines We Have Sufficient Means], 新华新闻 [Xinhua News], 9 May 2012, http://news.xinhuanet.com/2012-05/09/c_123098045.htm. 张洁 [Zhang Jie], “黄岩岛模式与中国海洋维权政策的转向” [The Huangyan Model and the Shift of China’s Maritime Strategy], 东南亚研究 [Southeast Asian Studies] 4 (2013): 25-31; quotations from 25-28. I thank Lyle Goldstein for calling this article and quotation to my attention. Ryan D. Martinson, “China’s Great Balancing Act Unfolds: Enforcing Maritime Rights vs. Stability,” The National Interest, 11 September 2015, http://nationalinterest.org/feature/chinas-great-balancing-act-unfolds-enforcing-maritime-rights-13821. Reiji Yoshida, “Japan Coast Guard Releases Video Showing Chinese Intrusions into Waters near Senkakus,” Japan Times, http://www.japantimes.co.jp/news/2016/08/16/national/politics-diplomacy/japan-coast-guard-releases-video-showing-chinese-intrusions-waters-near-senkakus/. This includes China’s South China Sea Museum and the South China Sea Base for the State Administration of Cultural Heritage’s Undersea Cultural Heritage Protection Center. 王子谦 [Wang Ziqian], “中国国家南海博物馆在海南潭门开建” [China National South China Sea Museum Begins Construction in Tanmen, Hainan Province], 中国新闻网 [China News Net], 28 November 2015, http://www.chinanews.com/gn/2015/11-28/7646109.shtml. Anthony Kuhn, “International Tribunal to Rule on South China Sea Case,” Morning Edition, National Public Radio, 11 July 2016, http://www.npr.org/sections/parallels/2016/07/11/485512618/in-a-chinese-port-town-south-china-sea-dispute-is-personal; John Sudworth, “South China Sea: The Mystery of Missing Books and Maritime Claims,” BBC News, 19 June 2016, http://www.bbc.com/news/world-asia-china-36545565. “Figure 5-3. Regional Maritime Law Enforcement Comparison,” The PLA Navy: New Capabilities and Missions for the 21st Century (Suitland, MD: Office of Naval Intelligence, 9 April 2015), 41, http://www.oni.navy.mil/Portals/12/Intel%20agencies/China_Media/2015_PLA_NAVY_PUB_Interactive.pdf?ver=2015-12-02-081058-483. 侯坤, 阳宗峰 [Hou Kun and Yang Zongfeng], “南海三沙民兵处置侵入领海外籍渔船 部署美济礁” South China Sea’s Sansha Militia Deals with the Invasion of Foreign Fishing Vessels in (China’s) Territorial Sea—Deploys on Mischief Reef], 中国国防报 [China Defense News], 27 January 2016, http://www.chinanews.com/mil/2016/01-27/7735164.shtml; Conor M. Kennedy and Andrew S. Erickson, “Riding a New Wave of Professionalization and Militarization: Sansha City’s Maritime Militia,” CIMSEC, 1 September 2016, http://cimsec.org/riding-new-wave-professionalization-militarization-sansha-citys-maritime-militia/27689. Conor M. Kennedy and Andrew S. Erickson, “From Frontier to Frontline: Tanmen Maritime Militia’s Leading Role—Part 2,” CIMSEC, 17 May 2016, http://cimsec.org/frontier-frontline-tanmen-maritime-militias-leading-role-pt-2/25260; Andrew S. Erickson and Conor M. Kennedy, “China’s Island Builders: The People’s War at Sea,” Foreign Affairs, 9 April 2015, https://www.foreignaffairs.com/articles/east-asia/2015-04-09/china-s-island-builders. For comprehensive information and citations concerning the Sansha Maritime Militia, see Conor M. Kennedy and Andrew S. Erickson, “Riding a New Wave of Professionalization and Militarization: Sansha City’s Maritime Militia,” CIMSEC, 1 September 2016, http://cimsec.org/riding-new-wave-professionalization-militarization-sansha-citys-maritime-militia/27689. 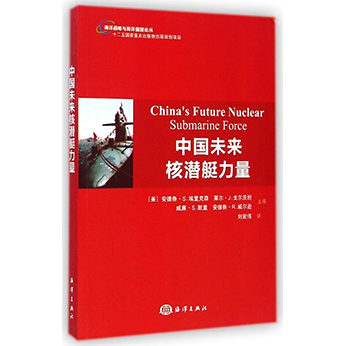 蔡喜宏, 洪耀 [Cai Xinhong and Hong Yao], “国防建设巡礼–海南省三沙市” [A Review of Defense Construction—Sansha City, Hainan Province], 国防 [National Defense] 6 (2015): 84-87. 陈绵云 [Chen Mianyun], “三沙军警民联防指挥中心奠基开工” [Foundation-Laying Begins for Sansha’s Naval-Coast Guard-Maritime Militia Joint Defense Command Center], 国防 [National Defense] 9 (2015): 45. The author thanks Peter Dutton for his cogent encapsulation of this upgrade, and agrees with his broader assessment of U.S. interests and options regarding the South China Sea: Peter A. Dutton, “A Maritime or Continental Order for Southeast Asia and the South China Sea?” Address at Chatham House, London, U.K., 16 February 2016; reprinted in Naval War College Review 69.3 (Summer 2016): 5-13, https://www.usnwc.edu/getattachment/b3e85931-7139-49f9-8d93-6d5b53826a37/A-MARITIME-OR-CONTINENTAL-ORDER-FOR-SOUTHEAST-ASIA.aspx. A comprehensive compilation of Prof. Dutton’s Congressional testimony on China’s maritime strategy and activities, and corresponding implications and options for U.S. policy, is available here: http://www.andrewerickson.com/2016/07/a-maritime-or-continental-order-for-southeast-asia-and-the-south-china-sea-address-at-chatham-house-by-cmsi-director-peter-dutton/. “PLA Navy Chief Urges China-U.S. Cooperation in Handling South China Sea,” Xinhua, 18 July 2016, http://news.xinhuanet.com/english/2016-07/18/c_135522556.htm. Andrew S. Erickson, “China Open Source Example: Big Plans for Maritime Militia Base Buildup, as Seen from a Government Proposal Document,” China Analysis from Original Sources 以第一手资料研究中国, 30 August 2016, http://www.andrewerickson.com/2016/08/china-open-source-example-big-plans-for-maritime-militia-base-buildup-as-seen-from-a-government-proposal-document/. Christopher P. Cavas, “China’s ‘Little Blue Men’ Take Navy’s Place in Disputes,” Defense News, 2 November 2015, http://www.defensenews.com/story/defense/naval/2015/11/02/china-lassen-destroyer-spratly-islands-south-china-sea-andrew-erickson-naval-war-college-militia-coast-guard-navy-confrontation-territorial-dispute/75070058/. Original Chinese: 未雨绸缪. For further explanation of this concept and its use by Chinese analysts, see Andrew S. Erickson and Lyle J. Goldstein, “Gunboats for China’s New ‘Grand Canals’? 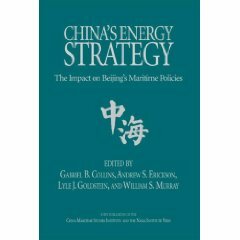 Probing the Intersection of Beijing’s Naval and Energy Security Policies,” Naval War College Review 62.2 (Spring 2009): 43-76, https://www.usnwc.edu/getattachment/f655705e-0ef3-4a21-af5a-93df77e527fa/Gunboats-for-China-s-New–Grand-Canals—Probing-t.aspx. See, for example, Andrew S. Erickson and Conor M. Kennedy, “South China Sea: Leading Theater for Maritime People’s War,” presented at “Understanding the Chinese Way of War: Case Studies from Theory to Application” conference, National Bureau of Asian Research and Army War College, Carlisle, PA, 13-15 March 2015; Andrew S. Erickson and Conor M. Kennedy, “China’s Maritime Militia,” CNA Corporation, 7 March 2016, https://www.cna.org/cna_files/pdf/Chinas-Maritime-Militia.pdf. Andrew S. Erickson and Conor M. Kennedy, “China’s Maritime Militia: What It Is and How to Deal With It,” Foreign Affairs, 23 June 2016, https://www.foreignaffairs.com/articles/china/2016-06-23/chinas-maritime-militia. 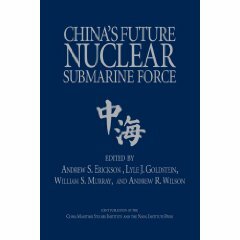 Andrew S. Erickson, “Obama Pentagon’s Last China Report: Covers Most Bases Commendably, But Misses Maritime Militia,” China Analysis from Original Sources 以第一手资料研究中国, 14 May 2016, http://www.andrewerickson.com/2016/05/obama-pentagons-last-china-report-covers-most-bases-commendably-but-misses-maritime-militia/. For an example of how unofficial analysis has been disseminated to a key American ally, see下平 拓哉 [Capt. Takuya Shimodaira, Japan Maritime Self-Defense Force], “中国第3の海上兵力: 海上民兵” [China’s Third Sea Force: The Maritime Militia], 海上自衛隊幹部学校 [JMSDF Maritime Staff College], 8 August 2016, http://www.mod.go.jp/msdf/navcol/navcol/2016/073.html. Andrew S. Erickson, “New U.S. Security Strategy Doesn’t Go Far Enough on South China Sea,” China Real Time Report (中国实时 报), Wall Street Journal, 24 August 2015, http://blogs.wsj.com/chinarealtime/2015/08/24/newasia-pacific-maritime-security-strategy-necessary-but-insufficient/?mod=WSJBlog; Andrew S. Erickson, Testimony before the House Committee on Foreign Affairs Subcommittee on Asia and the Pacific, Hearing on “America’s Security Role in the South China Sea,” Rayburn House Office Building, Washington, DC, 23 July 2015, http://docs.house.gov/meetings/FA/FA05/20150723/103787/HHRG-114-FA05-Wstate-EricksonA-20150723.pdf; Andrew S. Erickson, “China’s Naval Modernization: Implications and Recommendations,” Testimony before the House Armed Services Committee Seapower and Projection Forces Subcommittee, “U.S. Asia-Pacific Strategic Considerations Related to PLA Naval Forces” hearing, Washington, DC, 11 December 2013, http://docs.house.gov/meetings/AS/AS28/20131211/101579/HHRG-113-AS28-Wstate-EricksonA-20131211.pdf. That was very informative. You did very will, Dr. Erickson. I didn’t even know there was a third leg, so to speak, of the PRC’s naval triad: the maritime militia which apparently masquerades as a fishing force, if they’re not actually that. I think the point that there needs to be a comprehensive, robust and far-reaching strategy as regards the South China Sea should only be subordinate to a strategy as regards the PRC itself. The implication being, of course, that there currently isn’t one. Next POTUS needs to have that at the top of the agenda, because the current administration isn’t particularly adept at foreign policy in general or projection of power in particular. If China is allowed to continue acting as it has with impunity, it will not bode well for any of its neighbors or the region as a whole, much less the global economy.